In this 5th grade lesson, I explain how to simplify a fraction using a visual model and an arrow notation. Simplifying fractions is like joining or merging pieces together, and it is the opposite of finding equivalent fractions and splitting the pieces further. The video below explains many of the same ideas as the lesson below. 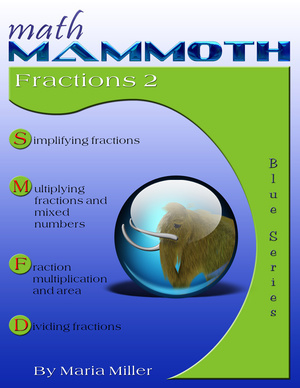 Do you remember how to convert fractions into equivalent fractions? of the fraction does not. In other words, you get the SAME AMOUNT of pie either way. The fraction is now written in a simpler form. We also say that the fraction is written in lower terms, because the new numerator and denominator are smaller numbers than the originals. Both the numerator and the denominator are divided by the same number. This number shows how many slices are joined together. 1. Write the simplification process, labeling the arrows. Follow the examples above. a. The parts were joined together in ______. b. The parts were joined together in ______. 2. Write the simplifying process. You can write the arrows and the divisions to help you. 3. Draw a picture and simplify the fractions. a. Join together each two parts. b. Join together each four parts. c. Join together each three parts. d. Join together each six parts. e. Join together each seven parts. f. Join together each four parts. When you simplify, you divide the numerator and the denominator by the same number, so you need a number that “goes” into both the numerator and the denominator evenly. The numerator and the denominator have to be divisible by the same number. already in its lowest terms. 4. Simplify the fractions to the lowest terms. the fractions that are already in the lowest terms and simplify the rest. and mixed numbers that are equivalent. a total of one hour for the warm-up, the practice, and the stretching. What part of the total time is the warm-up time? What part of the total time is the actual practice time? 9. Color the parts of this 24-part circle according to how you spend your time during a typical day. what fractional part of your day it takes. Simplify the fractional part if you can.